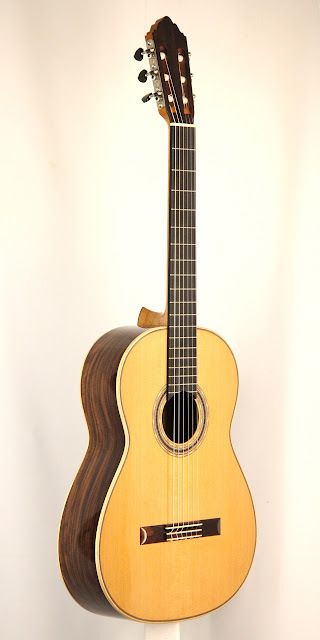 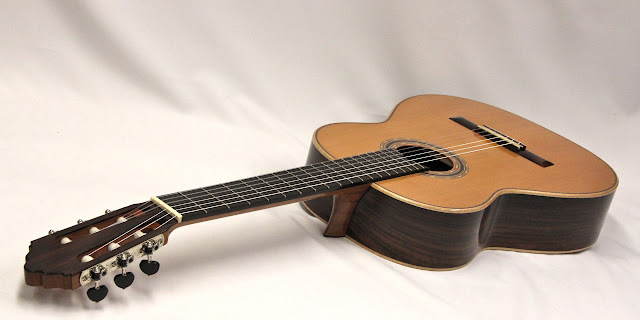 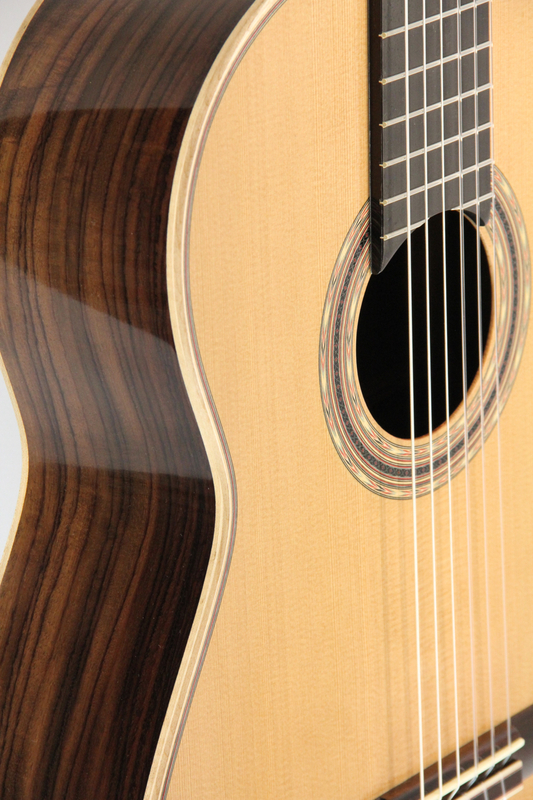 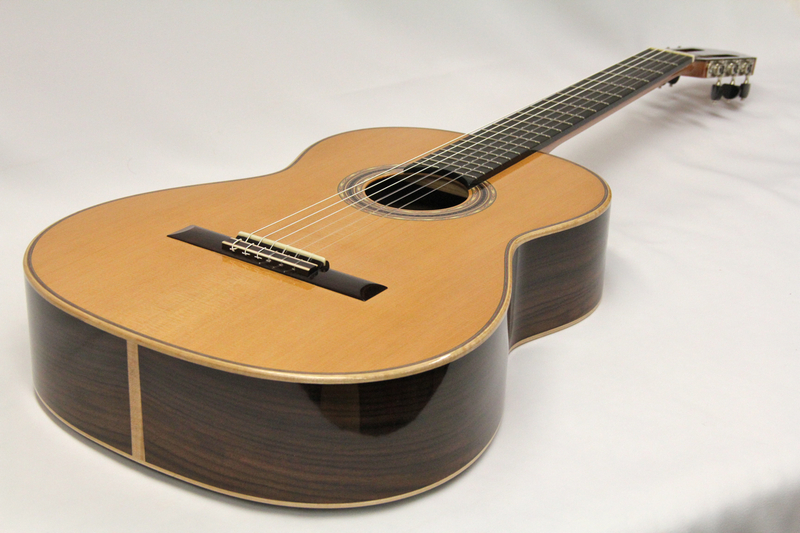 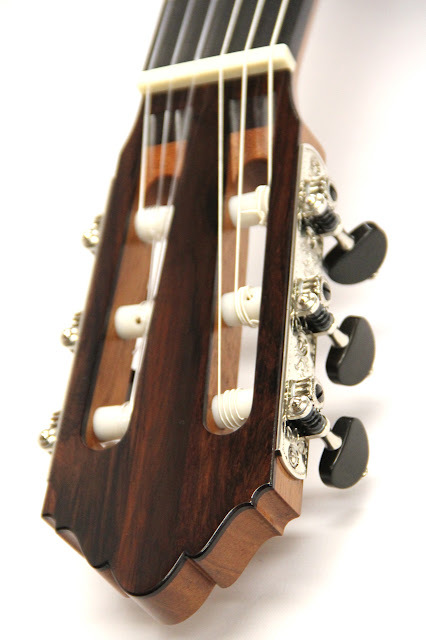 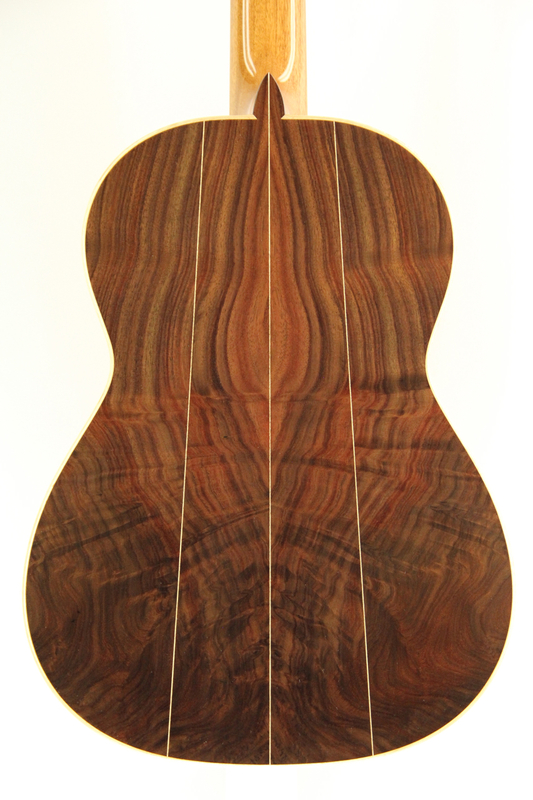 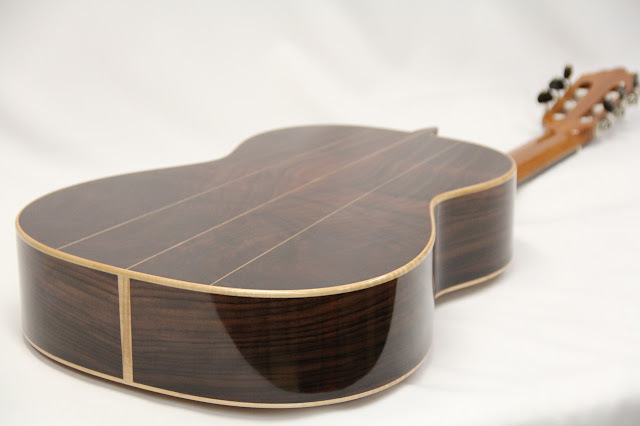 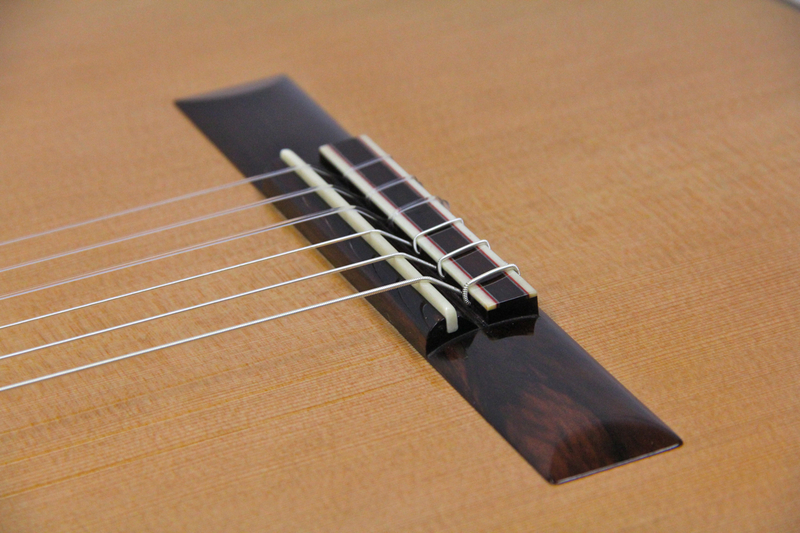 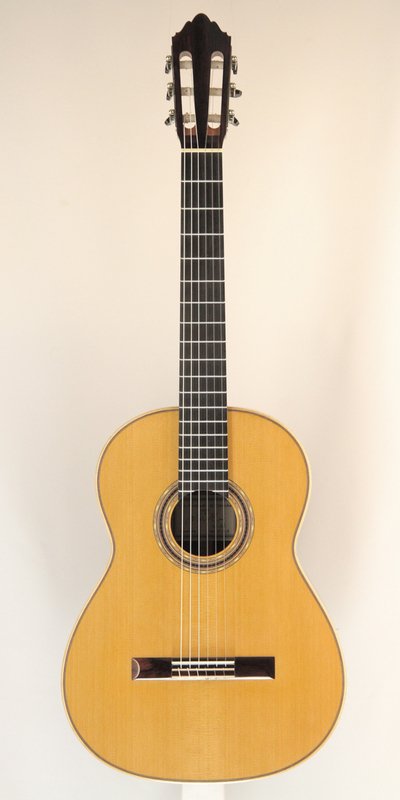 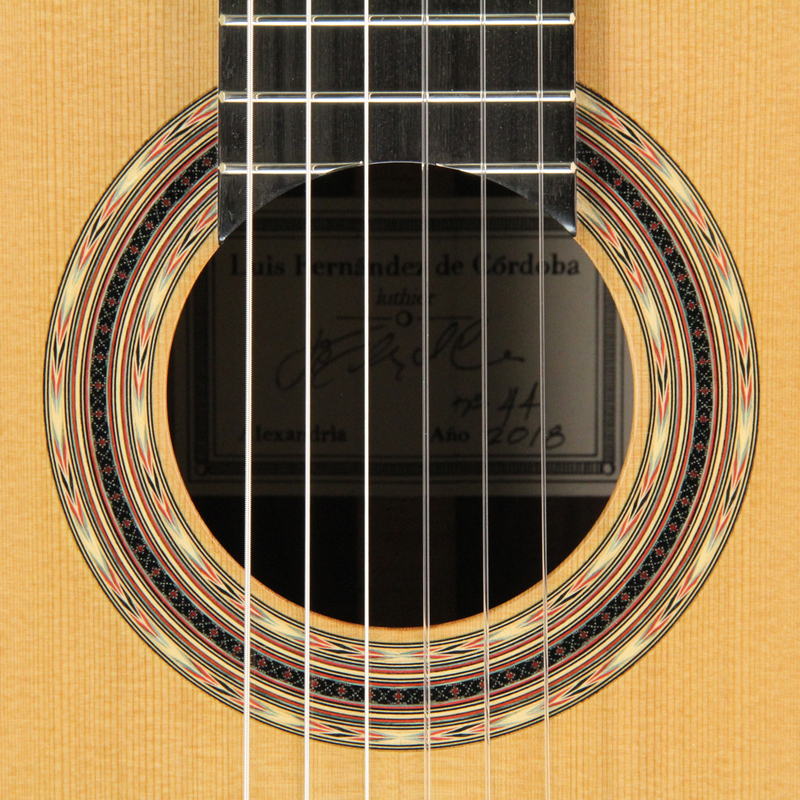 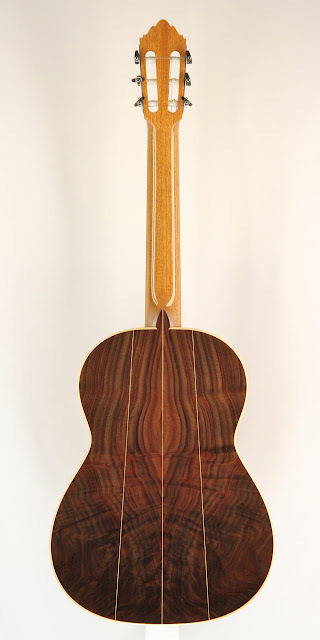 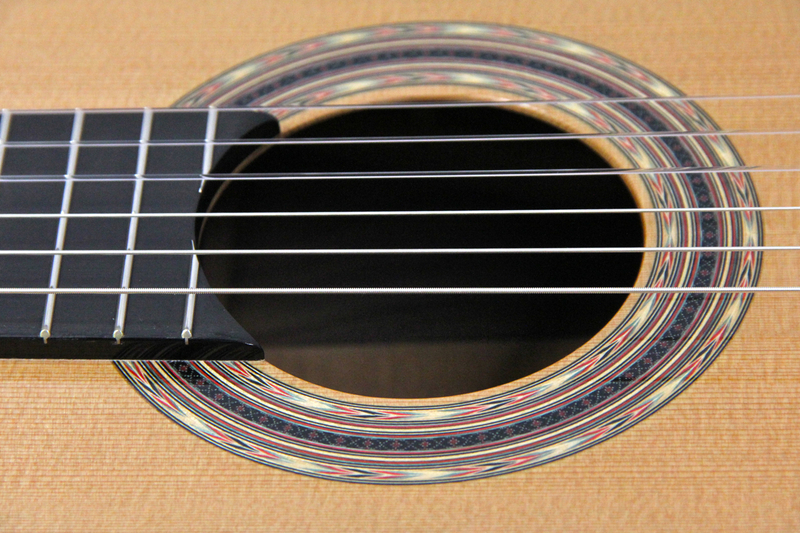 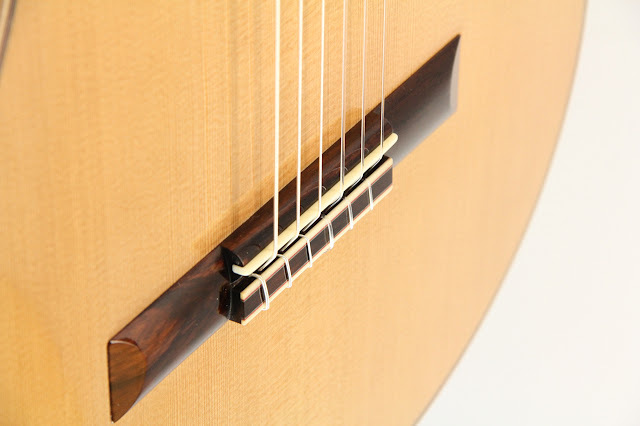 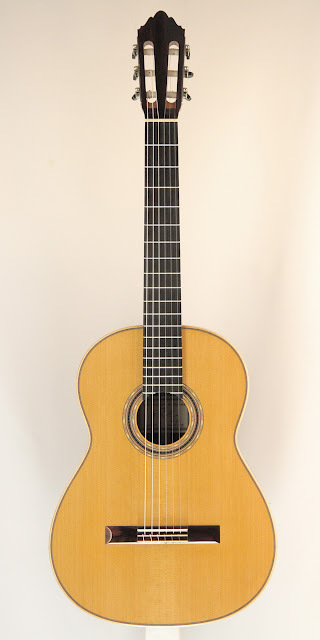 Classical guitar made with redcedar top, figured Indian rosewood back and sides, Spanish cedar neck, maple binding and Brazilian rosewood bridge. 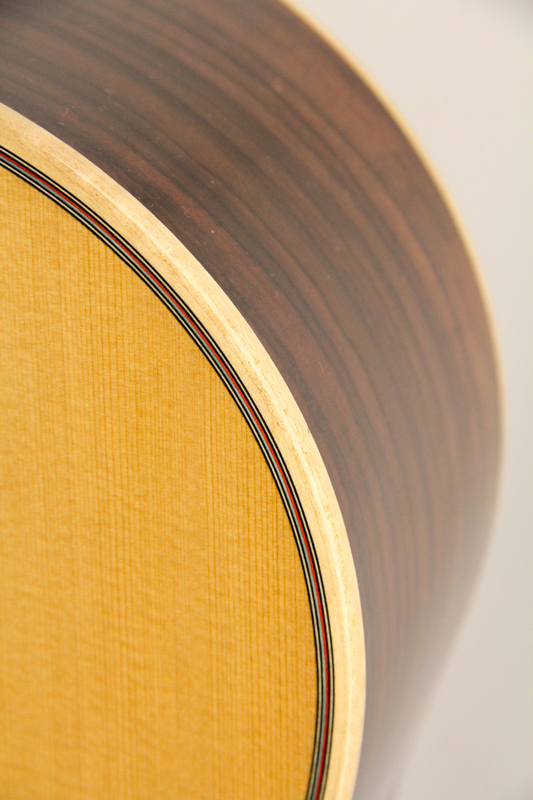 Blonde shellac finish. Signature rosette. 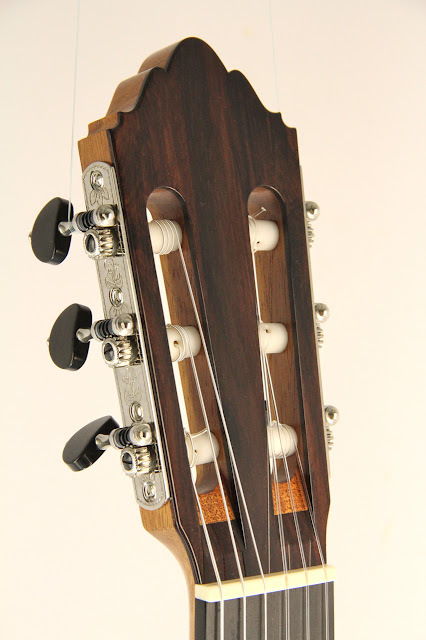 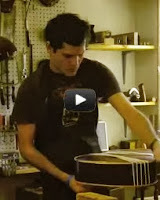 Rubner tuning machines.